Rafting is an extremely popular sport in the summer. 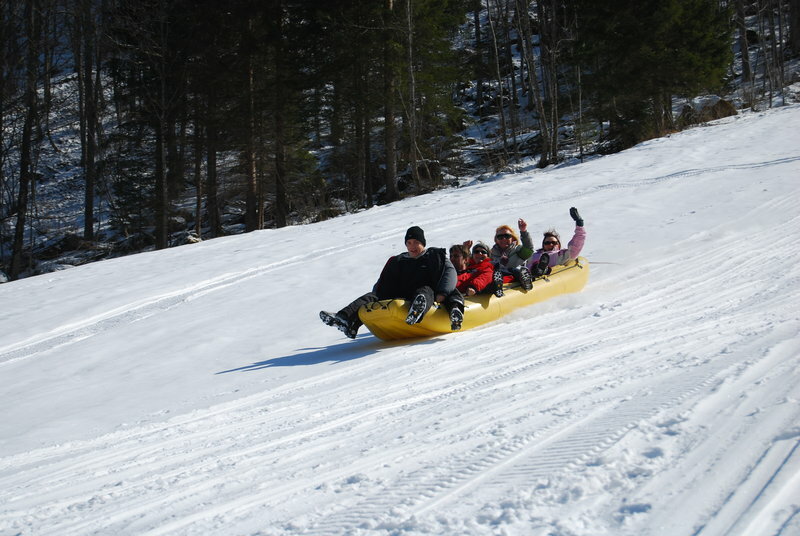 We offer you some fun in the winter time as well – snow rafting Slovenia on the snow. Adventure center Nomad 2000 organizes it on Vogel, Krvavec, Kranjska Gora, Logarska dolina or Pokljuka. With mini rafts (one raft holds 4-6 people) we descend down the hill and after a long drive we pull to a stop. Wild ride down the hill is something you will definitely enjoy. Snow rafting Slovenia is also organized in the evening by the dim light of torches, which makes the experience even more special. With mini rafts we descend down the hill and after a long drive we pull to a stop. Wild ride down the hill is something you will definitely enjoy. Snow rafting is also organized in the evening by the dim light of torches, which makes the experience even more special.